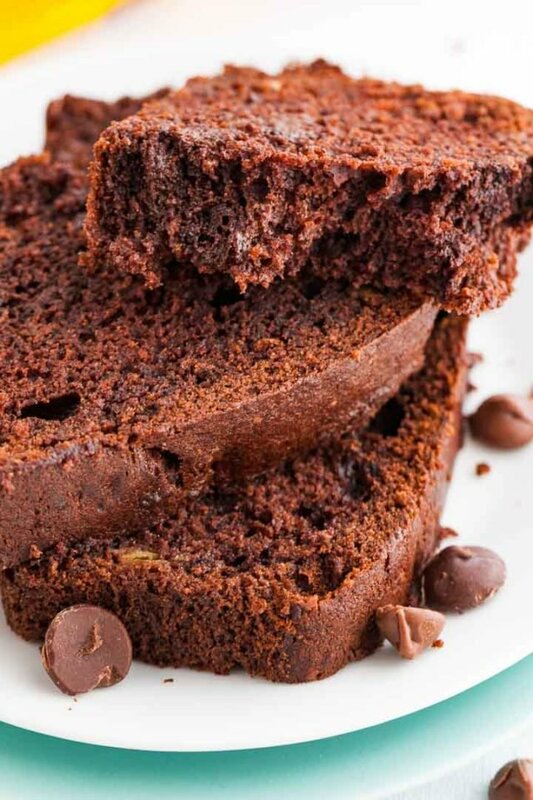 Chocolate Banana Bread is so moist and flavorful! 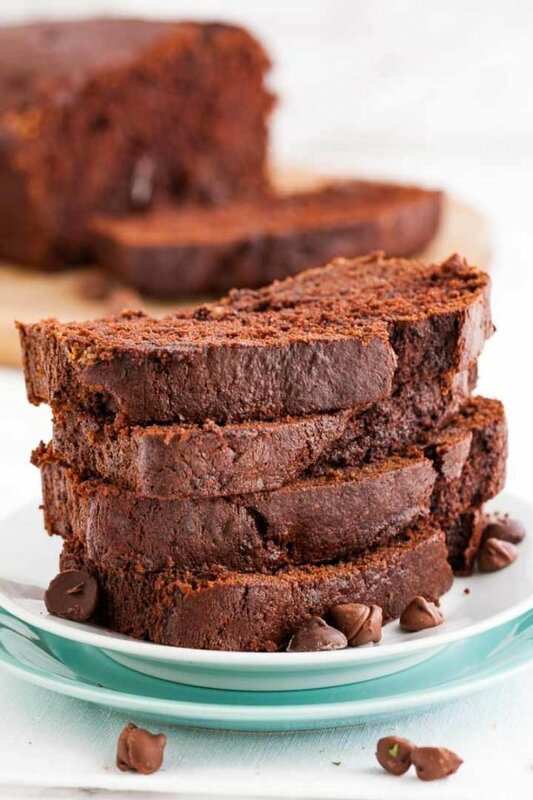 Dutch-process cocoa powder, chocolate chips, and espresso powder give this simple banana chocolate chip bread recipe a deep chocolate flavor and sour cream, brown sugar, and ripe bananas add moisture so this bread keeps fresh for days. Moist, and bursting with the flavor of chocolate and banana, Chocolate Chip Banana Bread makes a perfect breakfast, snack, or dessert. 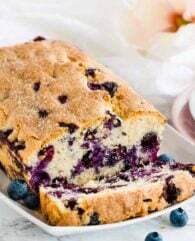 This rich and delicious loaf cake recipe is so easy to make from scratch and keeps fresh and moist for days! The flavor combo of banana and chocolate is one of my favorites! 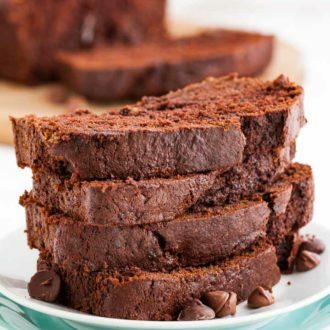 Slightly sweet, chocolatey, and loaded with bananas, this banana bread with chocolate chips is a chocolate lovers dream. I like to use butter and sour cream in my recipe. 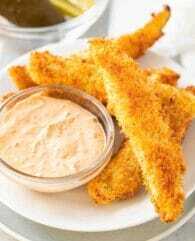 The butter adds flavor and the sour cream moisture, this combination produces a tender, moist crumb with great flavor. This Chocolate Chocolate Chip Banana Bread is the ultimate banana bread. It is SO rich and heavenly. 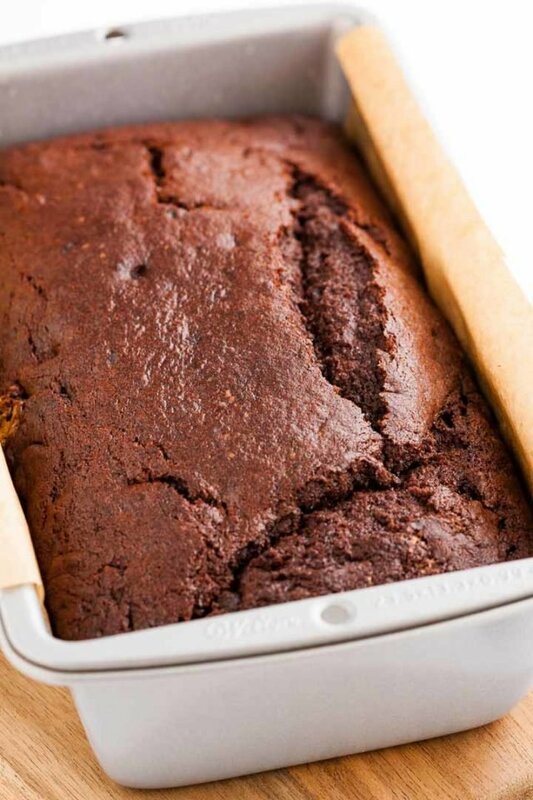 If you like chocolate you definitely have to try this Chocolate Banana Bread! 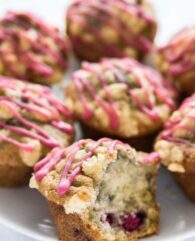 Make sure to use ripe bananas with brown spots for this recipe. They are sweeter and easier to mash. I always have bananas in the freezer to have on hand for baking. Instead of Dutch-process cocoa powder, you can also use the same amount of unsweetened cocoa powder. Using Dutch-process cocoa results in a darker muffin. Instead of semisweet chocolate chips, you can also use milk chocolate chips, white chocolate chips, or a mixture of chocolate chips. Chocolate chunks or chopped chocolate can be used too! The espresso powder is optional but I recommend using it because it really helps the chocolate flavor come through! The bread won’t taste like coffee. 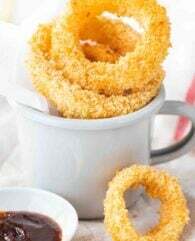 Instead of espresso powder, you can also use Instant Coffee Powder. Baking time depends on your oven. Test for doneness with a skewer about 10 minutes before the time is up. If the top of the bread browns to quickly cover it with aluminum foil. Banana bread is very moist and slightly dense so it won’t rise much in the oven. 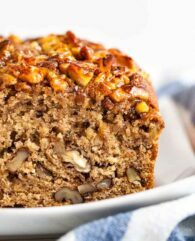 This bread keeps fresh and moist for days because of the sour cream, bananas, and brown sugar which all add moisture. Can I freeze this Banana Chocolate Bread? Yes, you can freeze this bread! Let it cool down completely then freeze wrapped tightly in plastic wrap for up to 6 weeks or cut into slices for easier defrosting. Looking for more Banana Recipes? 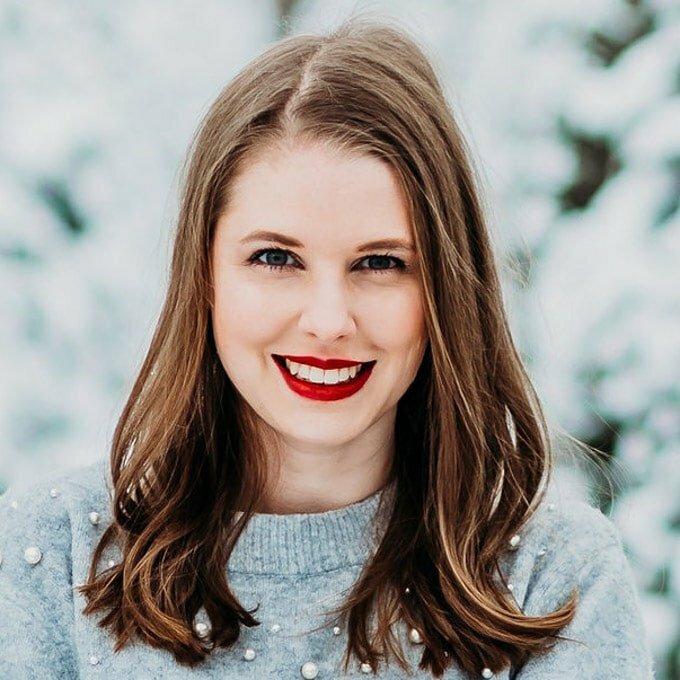 Check out these reader favorites! 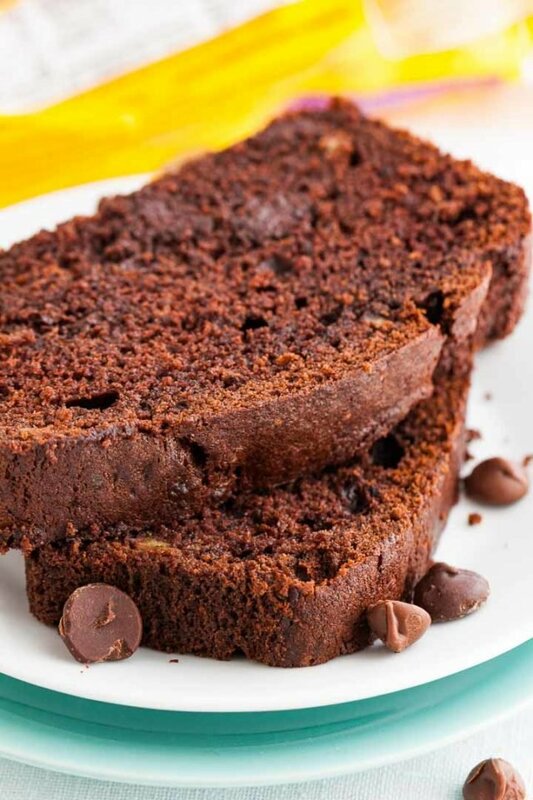 Want to try this easy Chocolate Chip Banana Bread Recipe? Preheat oven to 350°F (175°C). Grease a 9x5 inch loaf pan and line it with parchment paper. In the bowl of a stand mixer fitted with the paddle attachment cream butter and sugars together for 5 minutes until pale and fluffy. 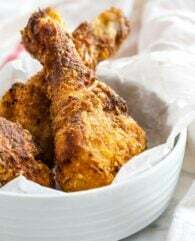 In the meantime combine flour, baking soda, Dutch-process cocoa powder, espresso powder, and salt in a bowl. Set aside. Add eggs, one at a time, to the butter-sugar mixture, mixing for 30 seconds after each addition. Then add bananas and vanilla extract, mix until combined. Sift in flour mixture and mix until just combined. Add sour cream and mix until just incorporated. Fold in chocolate chips. 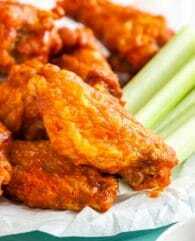 Pour batter into prepared pan and bake for 60 minutes, or until a toothpick inserted into the center comes out clean.